Ghostbusters 2 Not Happening After Remake Loses $75 Million? While the 2016 box office definitely has its bright spots, ultimately, the legacy may come down to a year filled with monumental bombs. 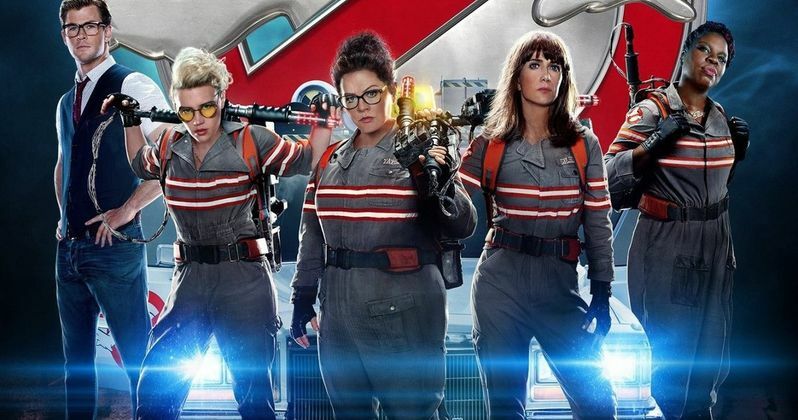 One of those bombs will be Sony's all-female Ghostbusters reboot. The movie has not faired overly well, and that may be getting in the way of the studio's larger plans for the franchise. As of right now, a sequel looks very unlikely, and if it did happen, it will probably be without director Paul Feig. According to The Hollywood Reporter, the movie is heading for a loss of around $70 million. Maybe more. As of right now, the movie has only made $180 million worldwide, with a reported production budget of more than $140 million. That, coupled with a massive marketing budget almost ensures that the movie is going to take a pretty big hit. However, a studio rep disputed the high figure in THR's report. Here is what they had to say. "This loss calculation is way off. With multiple revenue streams, including consumer products, gaming, location-based entertainment, continued international rollout, and huge third-party promotional partnerships that mitigated costs, the bottom line, even before co-financing, is not remotely close to that number." Granted, that nameless studio rep definitely has a point. Massive tentpole movies like Ghostbusters do have multiple revenue streams, but those revenue streams tend to go hand in hand with the success of the movie. Sure, nostalgia for the original will drive sales of some of the new Ghostbusters merchandise, but anything tied directly to the reboot likely won't sell as well, given the lukewarm performance of the movie. Also, a studio rep won't come out and say "we messed up bad." Even the producers of Fox's disastrous Fantastic Four reboot are publicly optimistic about that franchise, so we have to take that comment with a grain or two of salt. But, the other revenue streams could offset the poor box office, at least a little bit. Another hurdle that a sequel would have to overcome, should Sony be confident enough to green-light one, would be finding a director. Back when the movie premiered, Sony executives were very confident about a Ghostbusters sequel moving forward, but that seems less likely now. However, if it does happen, Paul Feig recently made some comments that pretty much would take him out of the director's chair. When asked about rebooting another classic movie, he was firmly against it. "No, no, no. No, I will not. This one was just too tempting because I knew we could do something with it that was exciting." Paul Feig didn't love the reaction and the intense negativity that was thrown in the direction of the Ghostbusters remake, so it makes sense that he wouldn't want to throw himself right back in the mix. Granted, a sequel to a reboot wouldn't be the same as taking on another reboot, but those comments don't make it seem like he's ready to jump right back into that world. Even though the movie faced a lot of negativity heading toward its release, it was well received by critics. It currently has a 72 percent approval rating on Rotten Tomatoes, but has a less than encouraging 57 percent audience score. Sony hasn't officially ruled out a live-action Ghostbusters sequel, but don't hold your breath.